While the city of Richland may seem a bit off the beaten path, it's actually a national hub for professors and their students who want to explore catalysis. 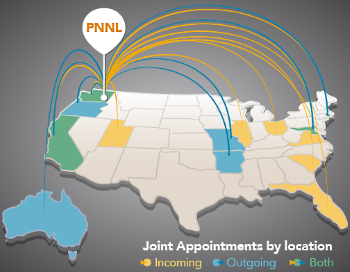 Through joint appointments, professors come to Pacific Northwest National Laboratory's Richland campus to collaborate on projects. Image courtesy of Nathan Johnson, PNNL Enlarge Image. The Institute for Integrated Catalysis's Transformations newsletter highlights innovation and collaboration in catalysis. The January 2018 issue focuses on building connectivity in catalysis. The op-ed article, by Wendy Shaw, describes Pacific Northwest National Laboratory joint appointments and how they are creating a research nexus in catalysis. 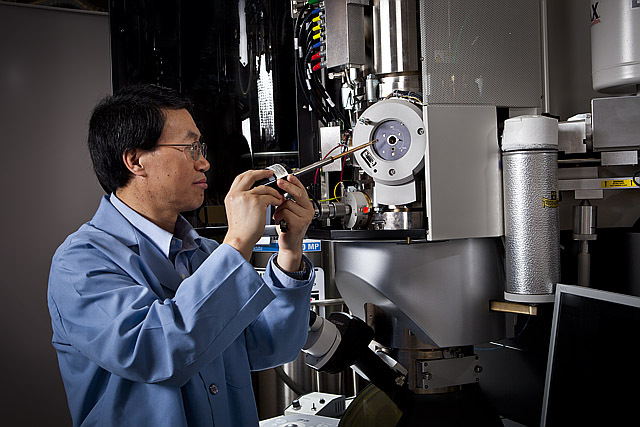 The feature article profiles Yi Lu, a joint appointment at the University of Illinois at Urbana-Champaign and the national laboratory. Finally, the science short features a team's work to get a cobalt catalyst to take the plunge into working in water. Sign up today to receive the next issue of Transformations in your inbox.